Mr. Tanner runs a dry cleaning shop in Dayton, Ohio, where he spends his days greeting his customers with his beautiful baritone voice. His friends and neighbors encourage him to sing professionally instead of cleaning clothes. He eventually takes a chance and travels to New York City to be heard by a concert agent and critics, only to find they weren't hearing what he was feeling. The song Mr. Tanner was released in 1973 off Harry Chapin's Short Stories album. The song was inspired by a mediocre review about a baritone singer in The New York Times. A portion of the proceeds from the sale of this book will go to help support WhyHunger, a charity championed by Harry Chapin himself. 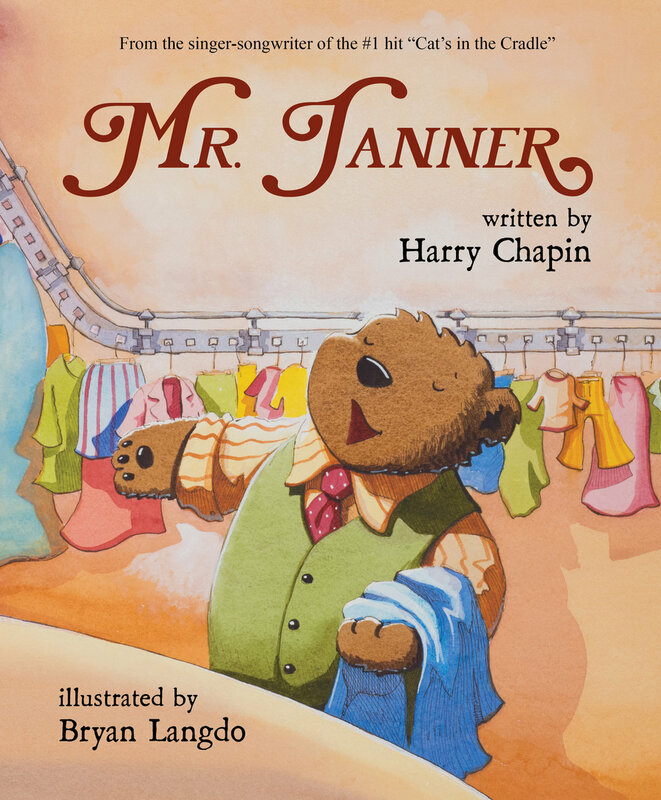 Impressively original, wonderfully entertaining, thoroughly 'kid friendly' for children ages 5 to 7, "Mr. Tanner" is an especially recommended and certain to be an enduringly popular addition to family, elementary school, and community library picture book collections. Originally released in 1973 as a music track from singer-songwriter Harry Chapin’s Short Stories album, Mr. Tanner tells the tale of a midwestern dry cleaner with a passion for singing. Adding artwork to lyrics, Bryan Langdo’s cuddly rendition of Mr. Tanner as a baritone bear gives the bittersweet story-song a fanciful twist when he travels to a New York City concert hall but doesn’t get quite the reception he was hoping for, in this soulful journey of self-discovery.